Guess who law secretary PK Malhotra quoted to argue for death penalty - George W Bush! If the Law Commission's report on death penalty was meant to force a wider debate, three of its members have ensured it has begun in earnest. Justice Usha Mehra, Sanjay Singh and PK Malhotra dissented from the panel's majority recommendation that the death penalty be abolished for all crimes save terrorism and waging war against the nation. Read more: Was President Kalam right? Does the death penalty only stalk the poor? The majority says it put in the lone caveat on terrorism and waging war as it was needed to safeguard national security. It, however, hopes that the movement towards absolute abolition will be "swift and irreversible". The dissenters aren't convinced. They believe India is not yet ready to drop the sentence from the statute books or restrict its scope. Here are their main arguments and whether they have any merit. Justice Mehra, a former judge of the Delhi High Court, makes two main arguments in her dissent note. One, by the time a death penalty case reaches the Supreme Court, it has passed scrutiny of the high court and the sessions court. This should be enough to trust the soundness of the final judgment. Two, prescribing punishment for crimes is the right of the legislature, not court. And courts ought to show deference to the wisdom of the elected representatives. Most of the other points she makes are either subjective or emotional. She assesses, for instance, that the report lays "too much emphasis" on the human rights of those given the death sentence while ignoring the human rights of their 'innocent victims'. Recalling the serial murders of children in Uttar Pradesh's Nithari village in 2005-06, Justice Mehra asks, "What other sentence could have been given to the 'Nithari' (killer)?" She also shifts the debate from constitutionality to "wisdom" by asserting that courts ought to defer to the wisdom of the legislature, which alone has the right to prescribe punishment for crimes. Lastly, she rejects the possibility that a convict can be reformed. "How can a terrorist be reformed whose main aim is to destroy the peace of the society, if not the society as such?" she asks. 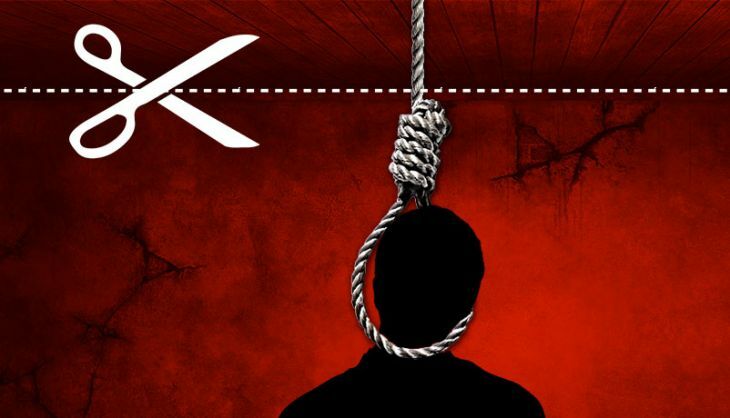 Singh, the legislative secretary to the Ministry of Law and Justice, substantiates his disagreement by saying that the constitutionality of the death penalty has repeatedly been upheld by the Supreme Court. He forgets to mention though that the reference to the Law Commission on this subject came from the apex court itself. Singh refers to the much-discussed interpretation of the death penalty as a deterrent, saying if it's abolished, "the fear that comes in the way of people committing heinous crimes will be removed". This concern, however, is addressed in the panel's report in detail. It concludes that "the fact that there exists a criminal justice system which punishes criminal conduct is by itself a deterrent". Therefore, the report adds, it is not necessary that punishments by themselves be harsh or excessive. Singh's most contentious argument, perhaps, is that the panel should not recommend "something which has the effect of preventing the state from making any law in the interest of the sovereignty and integrity of the country". But how exactly will a recommendation from the Law Commission prevent the state from making laws? Singh doesn't explain. The judiciary is an arm of the state and well within its rights to make a recommendation to another arm. Of course, the executive or legislature then has the prerogative to accept or reject the suggestion. Backing the existing proviso of awarding death only in the "rarest of rare case", Singh emphasises the need to frame guidelines on what constitutes the "rarest of rare". Malhotra, the law secretary and an ex-officio member of the commission, begins by saying that abolition of the death penalty is an "eventual goal". He, however, adds that someone planning to commit a crime should be aware of its "implications". And if these implications keep getting waived, the law itself would cease to exist. The objective behind punishing a convict, Malhotra argues, is to establish "an example for the rest of humanity" so that it will deter "perverted minds from committing such crimes". He even quotes former US President George W Bush, hardly a poster boy for progressive jurisprudence, to argue that the death penalty "saves other people's lives". Malhotra recalls that while studying the Anti-Hijacking Bill, a parliamentary committee had suggested the provision for death penalty if somebody dies during a hostage situation. This will of the Parliament, he argues, reflects that the "Indian society is yet to mature for total abolition of death penalty". The Law Commission has done a commendable job studying the issue in detail, giving unambiguous recommendations and also noting the points of disagreement. It's report, indeed, is a good start for a wide debate on abolishing the death penalty altogether. The debate though should be informed by facts, reason and a shared understanding of the direction in which civilisation, and this nation, should progress. TWEET THIS A quick guide on how not to argue for death penalty, courtesy dissenting Law Commission members Guess who law secretary PK Malhotra quoted to argue for death penalty - George W Bush!